As you have probably noticed from previous posts, I am a student of edible and medicinal plants. I was delighted to find out there is a whole magazine called The Herb Companion devoted to those topics. I put a subscription for it on my Christmas wish list and my mother kindly gave me one. recipes for using the herbs in new and delicious ways. What a fantastic resource! The pictures are beautiful and the presentation makes it all seem very doable, even for the beginner. 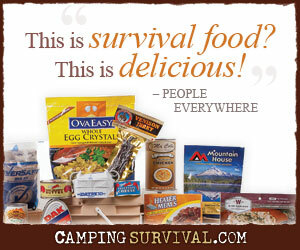 The ads included are for many things that could be useful for a prepper too- grain mills, family-owned seed companies, garden gear, alternative medicine, nutritional supplements, and other magazines of interest to the homesteader or prepper. I’d suggest you pick up a copy at a farm supply or book store and see if you aren’t sold on it too. I’ll be saving these issues for future reference because I feel they will be very valuable. Do you get this magazine? What do you think? Has the information been helpful to you? Please comment.